 House Perron & House PLLC engages in both litigation matters and transactional services to small and midsized companies and individuals. We have substantial experience in major litigation, both commercial and personal injury. The firm provides representation involving business, contractual, insurance and construction disputes of all types. I retained Joe House to obtain a judgement on a matter related to the sale of a business that had been previously litigated, settled, and ultimately defaulted upon. Having both corporate and personal guarantees from the defendant, Joe pursued a number of actions including attempts to collect the funds due. Joe did a great job of explaining the process, my options, and how we should proceed. Ultimately we obtained a summary judgement that included interest, penalties, and coverage for my legal fees. Thanks Joe! When our business was devastated by an employee breaking his employment contract, we immediately turned to House Perron and House for assistance. Joe had successfully helped us with other legal matters in the past and we were very pleased with the outcome. When we realized the enormity of our situation, we knew we needed a team we could count on through a very challenging matter. Our case was extremely complex, but Joe, Carla and Ben helped us navigate through the entire process step by step. They were so easy to talk to, understanding and caring. They patiently listened to our story and took it all to heart. Once we began the litigation process we quickly gained a full appreciation of the team we were working with. Their ability to see details we missed in documents, their familiarity with the ins and outs of litigation and their deep knowledge of the law were astonishing, but what I grew to really respect was their work ethic. Dedicated to the core, they never once rested until they found a solution or an answer to anything that was thrown at them. They were always responsive and quick to answer questions or address concerns. When we did go to trial, we were ready. We had thorough preparation, detailed case law, evidence, and all of legal bits and pieces that formed our case, and we had Joe front and center. Going to bat for us as he had through the entire process, keeping the jury listening, even laughing at all the right moments, crucially connecting with them on both a legal and emotional level, his quick thinking and quick wit often keeping the opposing council off balance. At the end of our journey, we won our case, the jury understood our plight, understood the laws that were broken and awarded us more than we were asking for. Our company was able to rebuild and move forward, keeping much needed jobs in place for our employees. Our gratitude to Joe, Carla and Ben goes beyond the excellent work that was done, but also for the friendships that we formed. I was very impressed with the time the members of this firm took to explained the series of events that needed to occur to have a successful case outcome. They gave great attention to detail, talking through strategy with me and presented a realistic timeline. They were caring and compassionate to my position as a small business owner and how incredibly difficult the whole process on me. They were very responsive and I knew they all had my interests in mind every step of the way. And best of all at trial the jury loved them. Their level of professionalism and preparation won the jury over, thank goodness. Victory! These guys are so responsive and on the ball. Anytime I had a question, they were quick to respond and extremely thorough. They are so easy to talk to; I felt extremely comfortable with them and confident in their work. These guys really know their stuff.